Breakfast cereals have suffered a lot of flak over recent years, being labelled as highly processed and too sugary, but here’s my expert opinion which might help change your mind! Breakfast cereals are so quick and easy to prepare and eat and for most of us living busy and hectic lives a healthy breakfast cereal is a convenient way to eat breakfast. Don’t forget, cereals are a great way to stock up on vitamins and minerals. However, yes I agree that not all breakfast cereals provide the same health benefits. Here’s the thing, you need to read the labels and know what to look for! 1. Look for the work ‘whole’ in front of the grain i.e. wholegrain / whole wheat flour / whole oats. Be careful of terminology like ‘multi-grain’ or ancient grains’ because often these can be refined and may not necessarily be 100% wholegrain. The manufacturer can throw in a small amount of wholegrains in addition to a substantial amount of refined grains and claim the product is made with whole grains. 3. Watch the sugar content. Go for a cereal that is as least processed as possible, that way there’ll be little or no added sugar. If we’re going to be realistic here, aim for a cereal that ideally has <10g sugar per 100g. Do allow some wiggle room for sugar if the cereal that contains some dried fruit. 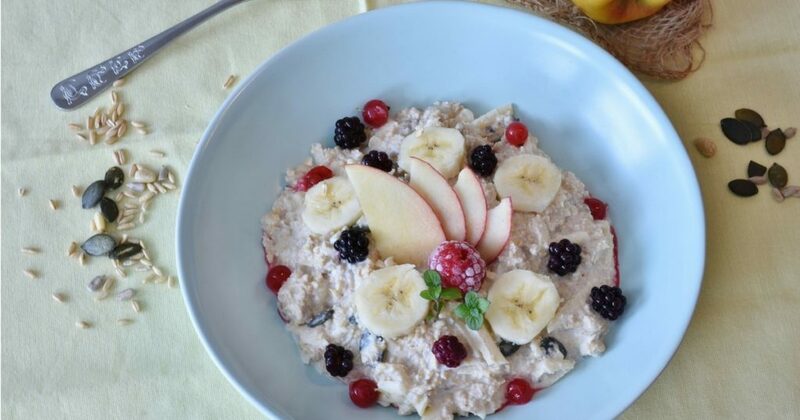 My top likes are Porridge, Weetabix and Shredded Wheat which are minimally processed and contain the least amount of sugar, fat, salt and are also high in fibre. Add some chopped fruit or a tablespoon of dried fruit and you’re adding one of your seven a day! However, there are others that are a medium sugar content but have great fibre content so sometimes it’s worth weighing up this. As long as you’re not adding more table sugar to the cereal you’re not increasing the added sugar. If you’re having trouble getting family members away from the sugary cereals like Coco-pops and Frosties, try adding a healthier cereal one teaspoon at a time and reducing the sugary cereal at the same time over a number of weeks.